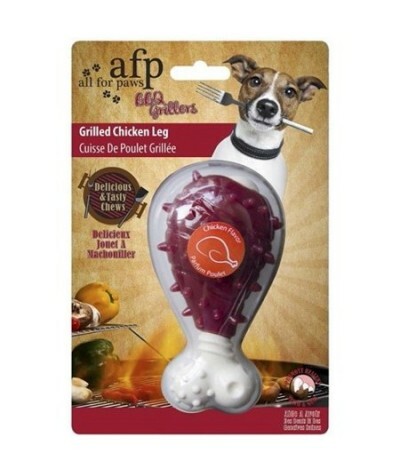 This yellow Grilled chicken leg is a durable chew toy for dogs. 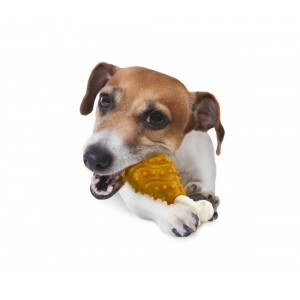 Promote healthy teeth and gums for your dog with this delicious and tasty chew toy. 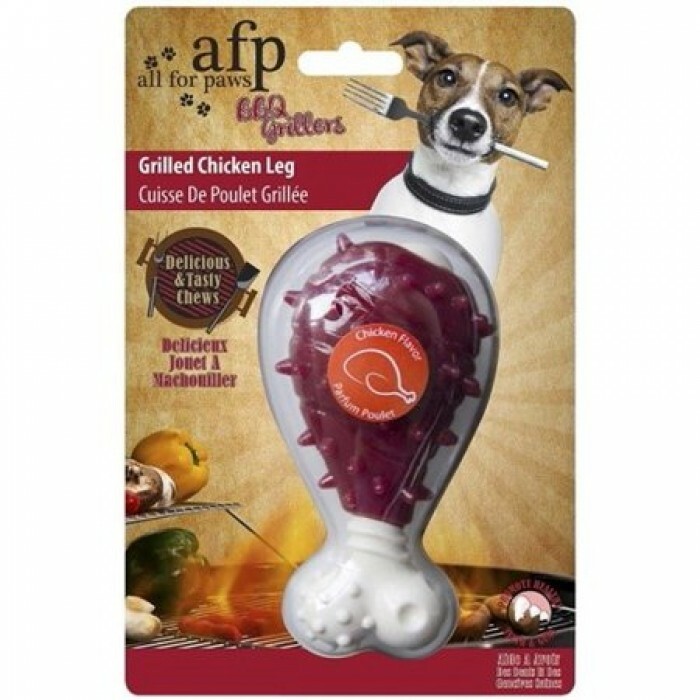 This red grilled chicken is a durable chew toy for dogs. Made of a combination of both strong and hard nylon and soft TPR it will motivate dogs to play longer. With its tasty color and chicken flavor, it will help redirect potentially destructive chewing behavior into positive playtime.